Though we are not sure as to whether or not the Chargers’ first-round pick, Joey Bosa, will play in Week 5 against the Oakland Raiders, we do know that defensive tackle Damion Square will be back in the fold after serving his four-game suspension for violating the NFL Policy and Program for Substances of Abuse. “I made a mistake,” Square said via ESPN.com right after news of the suspension came down. “It’s one that you always want to take back, but you can’t take it back. So you just take it and move on; it’s one day at a time. My teammates accepted me, which I knew that they would, because this is a great group of guys. The fourth-year veteran will be playing in his third season with the Bolts. Sparingly used throughout his tenure with San Diego, the 6-foot-2, 293-pound defensive lineman has tallied 10 total tackles, one pass defensed and one fumble recovery over his career. Though those stats are very unspectacular, Square was making his presence known at times last season and during the preseason. If nothing else, he can provide starters such as Brandon Mebane and Corey Liuget a breather from time to time, keeping them fresh. As it stands now, former fifth-round pick Ryan Carrethers has been inactive each week due to his inability to make an impact. 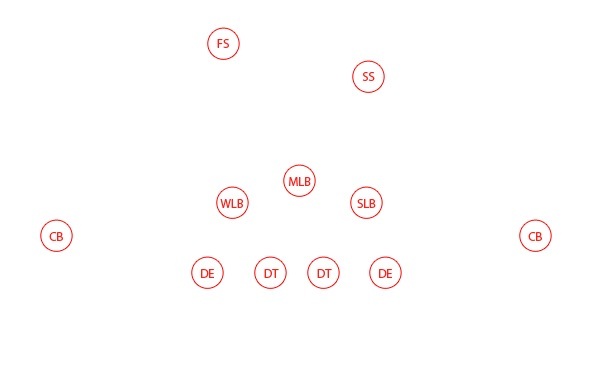 I would envision that Square would immediately leapfrog Carrethers on the depth chart and be active on game days. See what two of our writers, Zak Darman and Chris Hoke, have to say about whether or not the 2016 San Diego Chargers will make the playoffs this season. Zak Darman: NO DEAL! The San Diego Chargers will NOT make the playoffs at years end. The Chargers made some nice moves in the offseason to boost up their offense by signing wide receiver Travis Benjamin and center Matt Slauson. It is no secret that the offense is much improved, starting with the addition of offensive guru Ken Whisenhunt. The offense was looking very good in Week 1, right before Keenan Allen left that game with a torn ACL, ending his season. The running game looked much improved with a better and more decisive Melvin Gordon. The loss of Danny Woodhead from Sunday’s game against Jacksonville will hurt immensely, though, and they hope the recent signing of Dexter McCluster will help. We will see. On defense, however, is where the weaknesses still stand out. The Bolts used the No. 3 overall selection on defensive end Joey Bosa, who has not played in a single game this season due to contract negotiations/injury, and brought in nose tackle Brandon Mebane, cornerback Casey Heyward and safety Dwight Lowery. I still don’t like this group because in my opinion they don’t have enough playmakers to take this team to the next level. Manti Te’o is below average and prior to being lost for the season due to injury, there was a question whether he should be starting or not. The safeties are a joke and the pass rush is still bad. Outside of Pro Bowler Jason Verrett, who else is there? 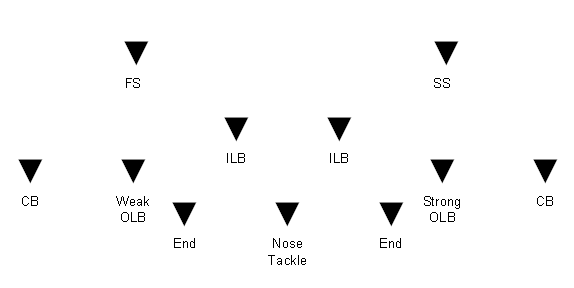 It also does not help to have one of the worst defensive coordinators in all of football in John Pagano. Yes, the defense looked great in the first half vs KC but lets not forget that the Chiefs were without Jamaal Charles and Alex Smith was missing some wide open short route throws that he usually doesn’t miss. This unit has been overrated from the get-go and it needs to be addressed. The defense looked better in week 2, but that was against a young and inexperienced Jaguars team. On Sunday, Andrew Luck and T.Y. Hilton did what they wanted. Verrett wasn’t on his game and the defense had no shot. Lastly, the coaching on this team is pathetic. We already went over Pagano, who should have been fired in 2013 if not for the playoff win in Cincinnati. Head Coach Mike McCoy is soft and constantly sits on leads when he can easily put a team away; Chiefs game was a perfect example. He has gotten worse every year while being here and is constantly letting games slip away. McCoy and Pagano need to be shown the door or else this team will not improve. With all that being said, I am predicting the Chargers record at the end of the season will be 5-11 or 6-10 at best. As Zak had pointed out above, the improvement of this offense is the running game. Yes it is odd to say this, due to the horrible run game the Chargers have had in a long time, a running game is very much back in San Diego; maligned since the departure of Ken Whisenhunt and Ryan Mathews. It’s no coincidence that since his return to America’s finest city, the run game has been rejuvenated. Gordon, who had zero touchdowns last year, has already compiled four scores along with his first career 100 yard rushing game against the Jags. Follow that up with a passing attack, without Keenan Allen and Danny Woodhead whom are both lost for the season, still has the weapons to be very dangerous. With the old reliable Antonio Gates on the sidelines, there is not much room for panic with the emergence of second round pick Hunter Henry. Even with the fumbled tragedy that ended any last ditched efforts for a win last week against the Colts, Hunter had a pretty solid game; breaking open for huge yards. Continuity between him and Rivers will only begin to grow more with each big play Hunter makes. The future is still bright for these Bolts offensively. “Them” referencing all Charger fans. Maybe we need to really forget about 2013 as maybe the Chargers caught lightning in a bottle with a group of talent that really wasn’t that good, at least defensively. Moving on to this year, it’s been four years and four drafts since Tom Telesco and company took over. Some naysayers have claimed that he has missed on players, but at the same time he has found some gems, such as Jason Verrett. There are others like Craig Mager and DJ Fluker where the verdict is still to be determined however in my opinion they are good additions to this team. I will say that the defensive talent on this team, is what Pagano has been waiting for. We all have seen what Hayward has done thus far and of course what the Pro Bowler Verrett can do, but the key addition, in my opinion, is the addition to Brandon Mebane – whose presence alone has shifted protection schemes. That ability, to force opposition to change schemes, is not listed in the box score yet it creates room for the linebackers, such as new defensive captain Melvin Ingram, to reap the rewards. The first round pick Joey Bosa has yet to take the field – signs pointing to week 5 or 6. The Chargers seem fine to just ease him in slowly rather to not risk further injury. Even with the loss of Manti Teo, Jatavis Brown stepped in and showed that he can be an instant playmaker. When Bosa does finally step in and is at game level, this defense will be headed to the next level. We already see what happens when Mebane is on the field and when you add in the beast Corey Liuget and Bosa – the three-headed monster will lead this team to playoffs and hopefully back to the Super Bowl. In closing, if McCoy can remain aggressive, this team can and will make the playoffs. If his attitude is as assertive as I saw it to be in 2013, it will resonate throughout the whole locker room. As long as we do not continue to lose key players every week, this team has the talent to beat any team on any given Sunday. The defense could easily be ranked in the top five, sans injuries of course, and as we have seen in the past, defense wins championships. Toss in a future Hall of Fame quarterback, a running back who is so raw and talented, and a receiving core who has already manifested themselves as reliable, the San Diego Chargers will make it deep into the playoffs. Perhaps we will hear this again. Let us know your opinion on whether or not the Chargers, as it stands, will make the playoffs this season. As many of us may have expected, due to a lingering holdout over contract issues which saw him miss much-needed practice time on the field in training camp, Joey Bosa is reportedly dealing with a hamstring ailment. General manager Tom Telesco confirmed the hamstring issue with XTRA1360 on Thursday. Bosa has missed his last two opportunities to practice with his teammates in pads due to “tightness,” as explained by head coach Mike McCoy via multiple reports. For all parties involved — players, coaches, the organization and the fans — this is extremely frustrating. It was predicted by everyone and their dog that this would be the case. A player, rookie or veteran, cannot miss that amount of time and expect to come back and go full-speed without experiencing some sort of rust/tightness. The recent news that this is a hamstring problem is quite troubling, seeing as hamstring ailments can be tricky. You can’t rush a player back to the field because you would then take the chance of this thing lingering throughout the season, causing Bosa to miss an extended amount of time. Although the team has yet to rule out the former Buckeye for their Week 1 contest against the Kansas City Chiefs at Arrowhead, it is very unlikely that he will play. Once the rookie is healthy enough to play, it will be interesting to see what kind of impact he’ll have in games. He will most likely be used sparingly at first, as the team waits for him to get into football shape — which then will have to translate into game-shape. Once again, although you were holding out to get paid more of your money sooner, it does NOT pay to hold out. And such is the case with Joey Bosa. The countdown to San Diego Chargers training camp 2016 now stands at four days. The eyes will be trained to look for the faces we know. There will be many more faces we don’t know which will require a look into the program to see who’s making head-turning plays on the field. In an effort to provide as many advance primers as possible, today, I turn my player spotlight on Carlos Wray. Wray signed with San Diego as an undrafted free agent immediately after the 2016 NFL Draft. The 6’1″, 287-pounder was the anchor of the Duke Blue Devils’ defense as their defensive tackle. Versatile, Wray was moved all over the field starting out as a defensive lineman, then to guard in his second year on the team. He had the most success his final two seasons in Blue Devils’ blue when he was moved to defensive tackle. In those two seasons he logged 86 tackles, 6.5 tackles for loss, 3.5 sacks and two passes defensed. At the Duke Pro Day, Wray ran the 40-yard dash in 4.85 seconds; impressive for a man his size. He posted 26 repetitions in the 225-pound bench press, broad jumped nine feet and showed a 28.5-inch vertical leap. NFL scouts love his wide body, high motor and fundamentally sound skill set, even though he’s only been playing defensive tackle for two seasons. After watching the video below, it’s obvious he was born to play defensive tackle. Wray was the unquestioned leader of the Blue Devils’ locker room and those leadership attributes will translate well in the NFL. The line forms behind Brandon Mebane when it comes to nose tackles for the San Diego Chargers. The mix at DT currently consists of Corey Liuget, Sean Lissemore, Ryan Carrethers, Damion Square, Tenny Palepoi and Wray. There is opportunity to take a slot on the depth chart for Wray. If he can bring the same intensity and passion he played with at Duke to Chargers Park, he has a great chance of staying on the roster. As a native North Carolinian and ACC homer, I will definitely be pulling for Wray to make the team. What do you think? Do you like what you see? Post your thoughts in the comments below. Since being drafted with the 18th pick in the first round of the 2011 NFL draft, defensive end Corey Liuget has made his name known throughout the league. Though he has yet to receive a Pro-Bowl nod, offensive coordinators know the name Cory Liuget. The Chargers’ defense has lacked a true nose tackle for years and years; this has made Liuget’s job immeasurably more difficult, as he faces double-teams and chip blocks while already being engaged by an offensive lineman on the regular. To put it quite simply — especially when you add in the fact that he has yet to have an impact player at the opposite defensive-end spot — Liuget’s job has been exponentially more difficult while opposing teams gameplan against the former Illinois’ defensive lineman. General manager Tom Telesco used the 2016 offseason to provide Liuget with some serious help via free agency and the draft, adding former Seahawk Brandon Mebane at nose tackle and the No. 3 overall pick in the ’16 draft, defensive end Joey Bosa out Ohio State. A defensive line featuring Liuget, Mebane and Bosa should automatically strike fear into the opponents that are on the schedule for this upcoming season. For the time being, gone are the days of John Pagano’s unit forcing players like Sean Lissemore to play out of position at nose. Now that he is playing in Washington, the Bolts no longer need to force the issue of hoping that former Charger Kendall Reyes will return to his rookie playing days; you know, when he actually made an impact. Though the Chargers are in a base-nickel package more than 60% of the time, the aforementioned players will still be manning spots along the team’s defensive line in multiple sets and schemes. If Mebane is able to replicate the impact he had during his eight-year career with the Seahawks, and Bosa can live up to the hype of being the first non-quarterback selected in the 2016 draft, then Liuget will be freed up to make a ton of noise, forcing him into the mouths of media pundits all over the NFL. A.J. Smith – Although I hated the pick at the time, you nailed it when you decided to take Liuget in the first round. The fact that outside linebackers Melvin Ingram and Jerry Attaochu are finding their ways into box scores helps give more credence to my thoughts. Ingram had a career-high 10.5 sacks in 2015, while Attaochu added six sacks of his own. The 2015 addition of Denzel Perryman at inside linebacker further lends itself to further back up my point. Perryman immediately started blasting opposing players as soon as he was inserted into the starting lineup. His play and impact made the move to release Donald Butler an easy call. The 2016 season will end with Corey Liuget being named to his first Pro Bowl. Write it down and book it. He has now received said help and as long as the three defensive lineman listed above stay healthy, the sky’s the limit for this defensive unit. The Bolts’ defense has solid depth along the defensive line in Lissemore, Ryan Carrethers, Tenny Palepoi and Damion Square. The Chargers’ defense has improved dramatically on paper, but it is up to players like Liuget to take advantage of each and every opportunity in order to maximize the talent in place. Don’t sleep on this Chargers’ defense in 2016.